Custom Wolf Fountain | BUDK.com - Knives & Swords At The Lowest Prices! The perfect addition to your rustic décor! 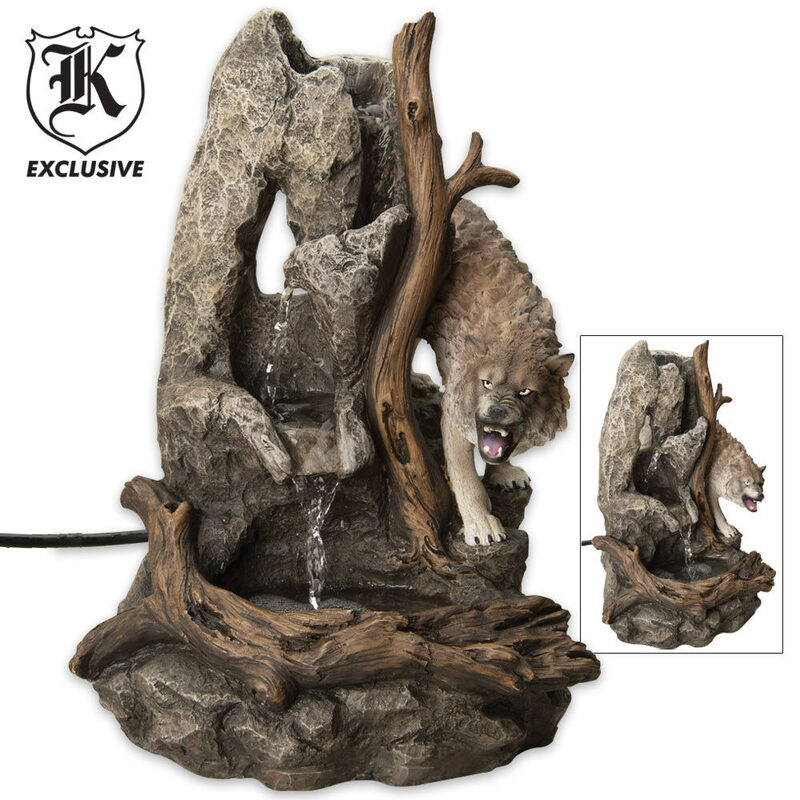 This wolf fountain is constructed of poly resin rocks and wood with a poly resin gnarling wolf. This fountain measures 14" tall by 8 1/2" wide overall. Plug this fountain in and watch the water ooze from the rocks!